How to Lend Your Voice to National Eating Disorders Awareness Week: Let’s Eradicate These Disorders! Posted on February 27, 2013 at 1:25 pm. This week is a very special week for me and for those that I work with and support in recovery from eating disorders. Every year, the last week of February the National Eating Disorders Association brings National Eating Disorders Awareness Week, this year falling on February 24-March 2. This is a very busy time of year for me, and also one that I eagerly await, as it brings an opportunity for us to shine attention on devastating eating disorders such as anorexia nervosa, bulimia nervosa, binge eating disorder, and many other types of disordered eating and exercise behaviors. (Note: this is something that needs to be focused on every day of every year, not just one week per year). Did you know that eating disorders are the #1 most deadly mental illness? Eating disorders kill more people than any one other mental disorder (source: anad.org). These often secretive, shameful disorders are hidden from public eye, leading to intense suffering and isolation. Just by naming them, we take away some of their power. It’s time to focus on promoting healthy body image, self-esteem, and coping mechanisms and eradicate eating disorders! I truly believe that we can achieve this, though it won’t be easy. We have taken so many strong steps already! 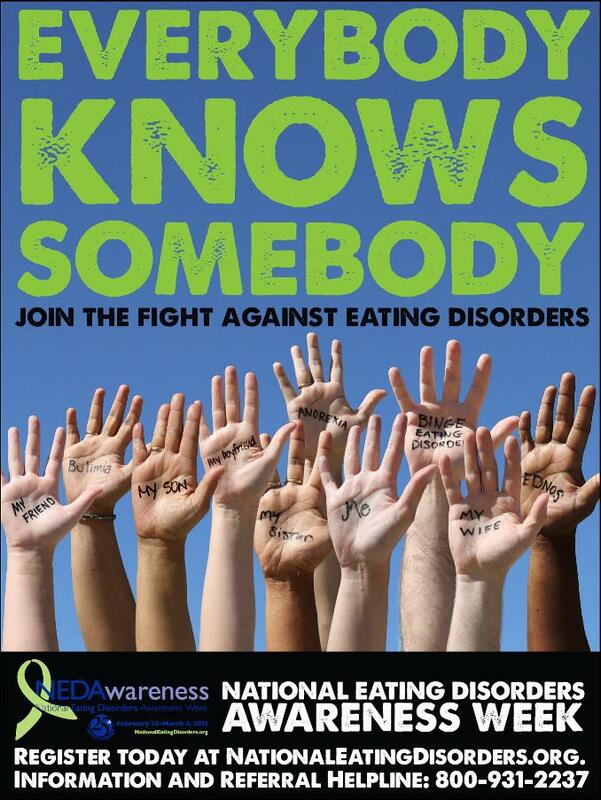 This year, the theme of the NEDA Week is “Everybody Knows Somebody”. We all are affected by the issues that cause eating disorders and are touched in some form by these illnesses, whether we are aware of it or not. “In the United States, 20 million women and 10 million men suffer from a clinically significant eating disorder at some point in their life.” (source: nedawareness.org). What can you do to help spread the word? Are you hoping to learn more about how to spot these disorders and how to search for support? Here are some very helpful organizations and websites that can offer guidance to those struggling, and to their families, friends, and loved ones. This week, I am offering complimentary 30 minute consultations and resources for those who would like to take a step on their journey to recovery. Please give me a call at 720-340-1443 or send an email to learn more! 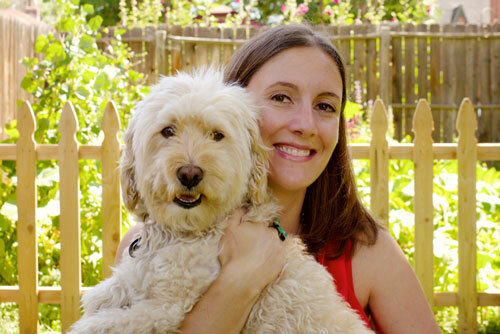 I am passionate about and dedicated to the cause of supporting healthy body image, healthy relationship with self and food, and finding peace from internal struggles that can feel overwhelming. Sometimes the first step is the hardest, but recovery begins after that first step!